Mohit Malhotra, a Delhi based model who became quite famous for his nice games in this season''s Splitsvilla on MTV made his debut as male lead in Star Plus new show Mitwa Phool Kamal Ke. Check out the most updated and latest information about Mohit Malhotra's on the Internet.We have 15 videos of Mohit Malhotra including interviews, events, or public appearances.Mohit Malhotra has over 206 Fans registered on India-Forums.com. We have 86 Television News articles related to Mohit Malhotra.Do share your criticism, comments and feedback for the Actor on Mohit Malhotra's comments page. We have over 17 Photos of Mohit Malhotra to view and download including Mohit Malhotra's Wallpapers. You are amazing as Akarsh in show Daayan. Chupke chupke serial show koi dusre channel pe chalu kardo please ye meri request hai. Ham sab audience aap k saath hai. Please CC ko jaldi chalu kardo please please can't wait. 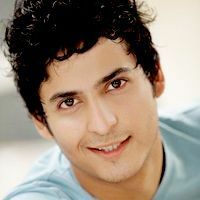 I have seen him act in beintehaa; his character was cute but that was all I saw of him. But I am so happy with the new show chupke chupke. I am so glad that this is the show where I become a fan of him. I miss watching you onscreen, come back soon! Hope u r opposite to dimple in thhbst mohit malhotra! U guys make a lovely pair! But still, you're doing a great job!